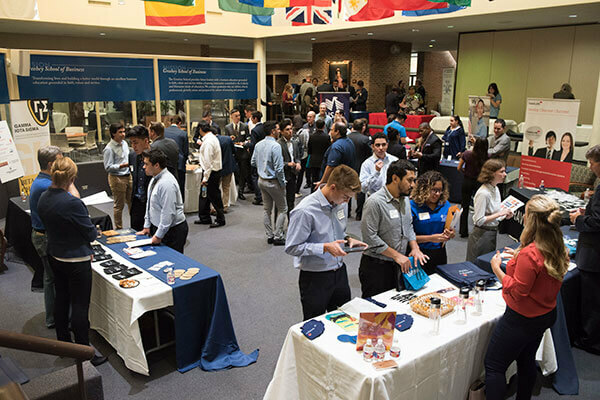 All organizations recruiting candidates for jobs or internships in the areas of insurance, risk management or financial services are encouraged to attend the Risk Management and Insurance Career Fair, held each Fall at St. Mary’s University. 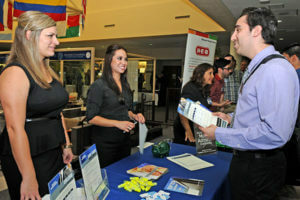 The fair welcomes more than 30 organizations and is attended by more than 150 students. It is an opportunity for students to develop their professional network, apply for jobs and internships, and learn about opportunities in some of the best companies in the risk management and insurance industry. The 2019 Risk Management and Insurance Career Fair will take place on Tuesday, Sept. 10, from 5:30 to 7:30 p.m. To register and/or sign up for a sponsorship for the event, click the button below. For more information on the Risk Management and Insurance Career Fair, contact David Sommer, Ph.D., at dsommer@stmarytx.edu or 210-431-8055. On-campus interviews can be set up through the Office of Career Services by contacting Bethany Venn at bethany.venn@stmarytx.edu or 210-436-3102.